Many coffee shops in PJ and KL claim to do great affordable western, but very few actually make the cut. Well in our books anyway. But once in a while, comes a place that’s worthy of a mention. Such as stall 33 in PJ, Jalan Othman Food court. This was definitely the best weekend find for us at PJ Old Town Food Court. 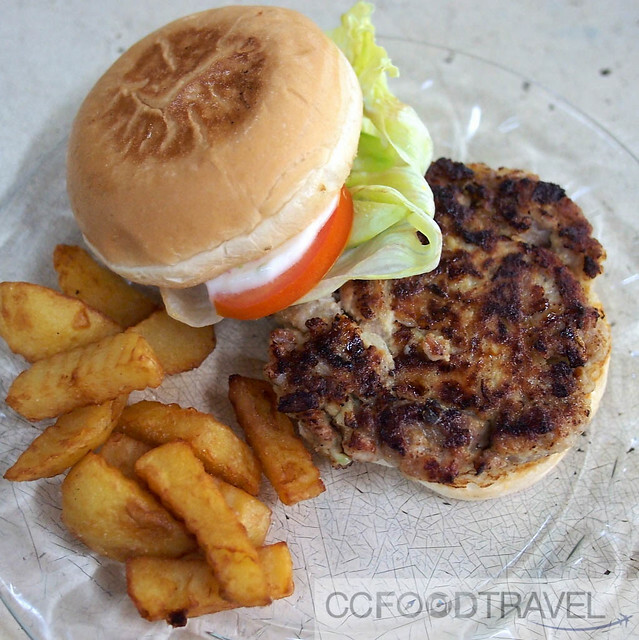 Priced at RM6.00 (or USD1.40) this lovely pork burger can be found at PJ old town food court.. chunky, meaty, pork patty with a great, succulent porcine flavour. None of that reconstituted, over-floured, MSG laden rubbish – this one is made with REAL pork meat. Mr. Mah the chef used to cook for RSGC and PJ club.. Now he is retired and takes his job easy. Find him at the PJ Old Town food court (only in the evenings starting from 6pm onwards) cooking up pork chops, steaks and these porky burger delights at Western stall 33. 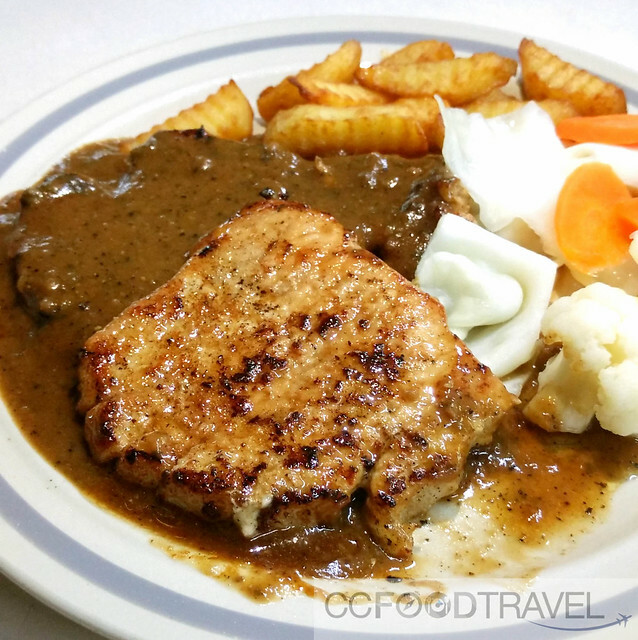 The pork chop is also good value for money – 2 hearty slabs of nicely grilled pork meat with very little fat, buttery thick sliced potato chips and vegetables on the side, and it comes with a choice of black pepper, mushroom or brown sauce. Only priced at RM11 (USD2.60) these are packed with umami. You can tell the meat hasn’t been sitting in the freezer for ages. Definitely pay this place a visit for toothsome, homemade burgers and decadent chops! Ooooooo….heaven is a place on earth!!!! Yum yummmmm!!!! Thanks dear! And yes western it is ! Wah.. RM10 is really good wor.. tell us where please.